Parineeti Chopra and Charit Desai relationship CONFIRMED? Bollywood's diva Parineeti Chopra added stars to her sister Priyanka Chopra and Jiju Nick Jonas wedding. The actress shook the world with her stunning and adorable looks. And now that PeeCee has been married what about younger sister Parineeti? Will the actress tie-a-knot with beau Charit Desai? Although, the rumors seem to be making rounds about Pari finding her soulmate. No sooner, the actress met Charit Desai whom she had met during her Dream Tour, she instantly hit the headlines and was rumored to date him. 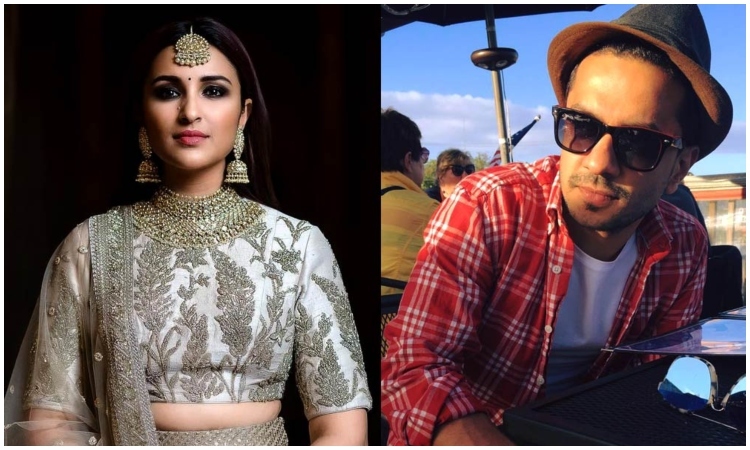 Desai, who has worked with Karan Johar's production house and was also closely involved with the Dream Tour, has apparently been dating Parineeti for the last one year. Parineeti denied all the rumors about them dating and called them baseless and false, however, the recent media interaction suggest the totally opposite. Although, she neither denied the news and almost confirmed the news in a very vague fashion. She said, "My life is out there. My love life is the only thing that I keep to myself because I'm not ready to talk about it yet. I don't hide things, it's just that I'm not officially announcing anything anywhere. I'm not posting pictures or not being seen or not being seen everywhere so people think I'm trying to hide it, but my friends and family know the truth. I don't think I need to make an official announcement in the media. I'll do it if I feel the need for it." Currently, Bollywood actress Parineeti Chopra is on a promotional spree for her upcoming film Kesari. The film stars Akshay Kumar as the male lead and the film is slated to hit the theaters on March 21. Daler Mehndi OVERWHELMED after Screening of Mere Pyare Prime Minister Arbaaz Khan SAVAGELY Shuts Down a TROLL Calling him BANKRUPT!